Have you ever woken up in the middle of the night with cold sweats thinking “did we test everything?” You are not alone! All QA Managers who are responsible for the quality of the software they build experience this fear. We try to calm ourselves with the idea that we “can’t test everything”–but as realistic a statement as that may be, our vigilance against the next customer-facing escape can’t wane. Speaker | Paul Merrill | Beaufort Fairmont, LLC. 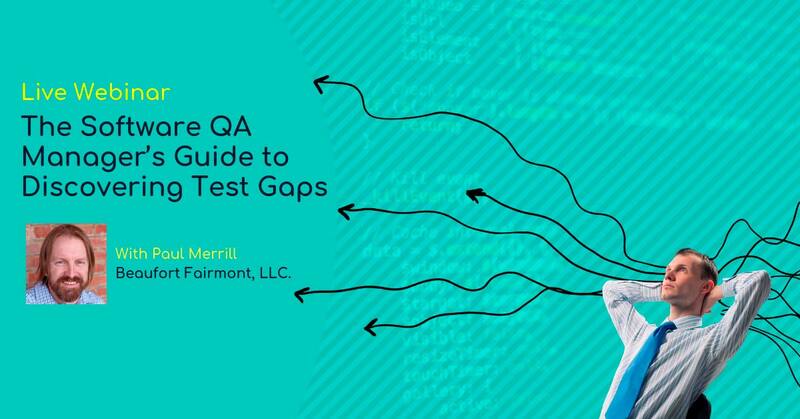 Paul Merrill is a principal software engineer in test and founder of Beaufort Fairmont Automated Testing Services. Paul works with clients every day to accelerate testing, reduce risk, and increase the value of testing processes with test automation. An entrepreneur, tester, and software engineer, Paul has a unique perspective on launching and maintaining quality products. Paul is a contributing writer at TechBeacon, often requested speaker at testing and software development conferences and host of test automation webinars on the company website.